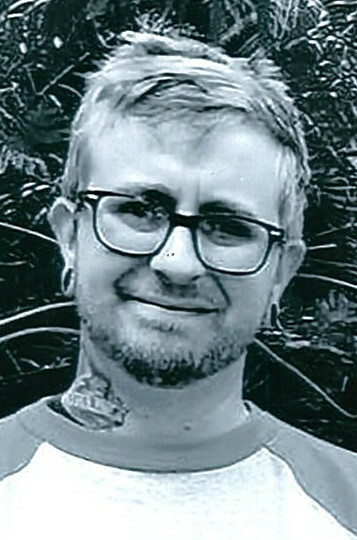 Trenton Lee Dale Bentle, 30, of Versailles passed away Friday April 12, 2019 in Ohio. Trenton was born August 3, 1988 in Dearborn County, the son of Regina Bentle. He married Amanda Bentle and she survives. Trenton was a factory worker, enjoyed playing music (guitar and the drums); photographer, being outdoors and like to make people laugh. Trenton is survived by wife Amanda Bentle of Lawrenceburg; son: River Lee Bentle of Cincinnati; daughter: Ryker Ann Bentle of Cincinnati; brother: Dominie Bentle of Oxford, Ohio; sisters: Jordan Cliften of Clarksville, In; Faith Bentle of Bloomington, In; Grandparents: Bob and Anna Bentle of Versailles, In. A service celebrating his life will be held 12 PM Tuesday, April 16, 2019 at Hope Baptist Church 15593 US 50 Dillsboro, Indiana 47018 with Pastor Tom Holt officiating. Family and friends may gather to share and remember him 10 AM - 12 PM Tuesday also at the church. Memorials may be given in honor of Trenton to the Family. Laws-Carr-Moore Funeral Home entrusted with arrangements, 707 S Main Street, Box 243, Milan, IN 47031, (812)654-2141. You may go to www.lawscarrmoore.com to leave an online condolence message for the family.